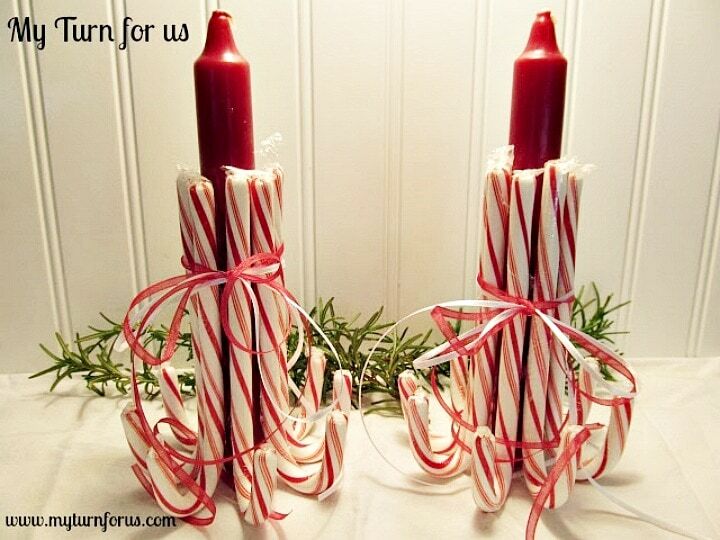 These Candy Cane Candlesticks make the cutest candy cane decorations. Easy and inexpensive candy cane candle holder using candy canes and ribbon. These Candy Cane Candle Holders are one of those fun little Christmas crafts that are inexpensive and very easy to make. We made two but I would like to have a grouping of five or more for my table set among holly or pine boughs. Wouldn’t that be gorgeous? And they are made for just pennies on the dollar? Making a Christmas Candle Holder is an easy quick little craft that makes the sweetest Candy Cane Decorations. So if you are looking for an unusual candle holder for a centerpiece or a set of candle holders for a side table, grab your glue gun and some candy canes and get to gluing. 1. 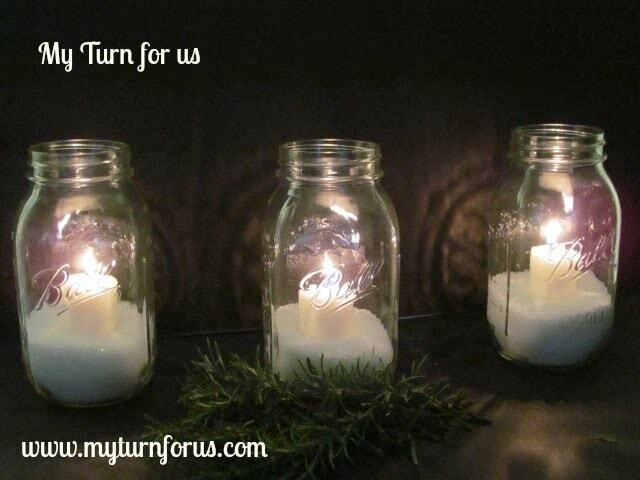 Glue one candy cane to the side of a candle. The hook side of the candy cane should be down and be facing out so that the arch of the cane can rest on the table at the bottom of the candle. 2. Glue a second candy cane on the opposite side of the candle and the next two should be halfway between the first two on opposite sides from each other. This is soooo cool. I am totally flashed! This is just adorable. Quick and simple and yet a great idea. Pinning it. 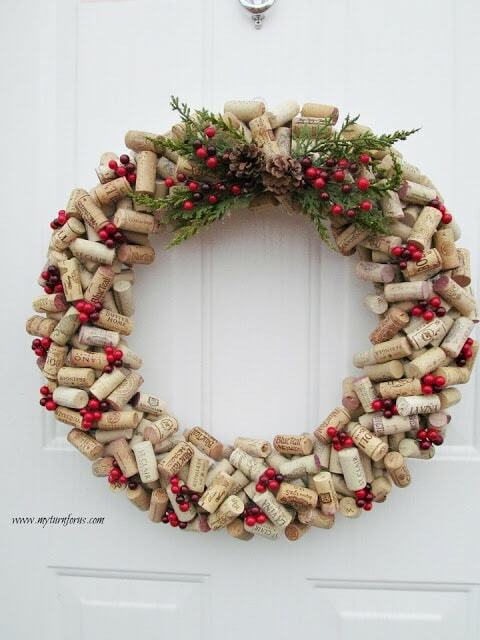 Evelyn, love this fun and festive decoration! great idea!! Cute idea for a table centerpiece! Just goes to show how bloody long its been since I've been here. Your blog design is looking very stylish young lady. Beautiful! And these candy cane candle holders are gorgeous! Great idea! Now I know what I'm doing for my gift exchange at work. Thanks for sharing!! That really is very cute and easy!! How cute! 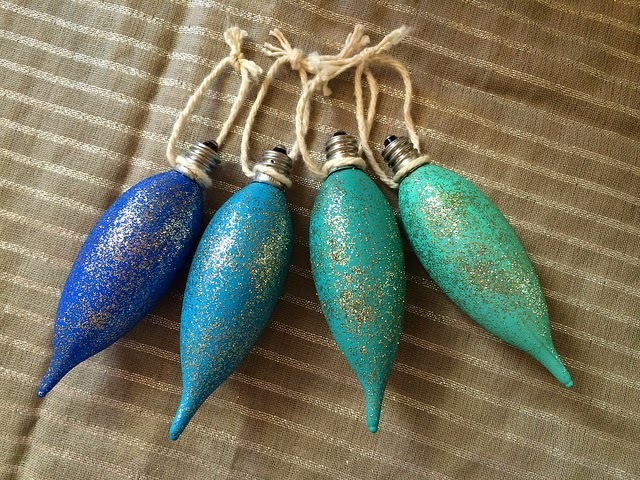 I love simple crafts – these are just adorable.